We’re releasing a limited time Quest Pack for Pot Farm for two days only! All net proceeds from this pack will be donated to the Vancouver Firefighters’ Charitable Society to help with relief efforts for communities threatened by wildfires in British Columbia. The Woodsy Wheeze Quest Pack will be our own way of reforesting the woodlands. It’ll have a forest of tree assets from old Pot Farm themes such as the Evil Fir Tree and Pine Tree. 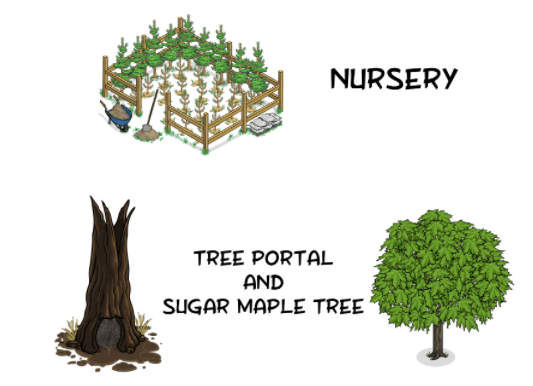 This is also a chance to get the Sugar Maple Tree and the Tree Portal. Feel free to donate as much as you want to help fight these wildfires and support the people impacted by them. Remember, we’re all in this together, Farmers!